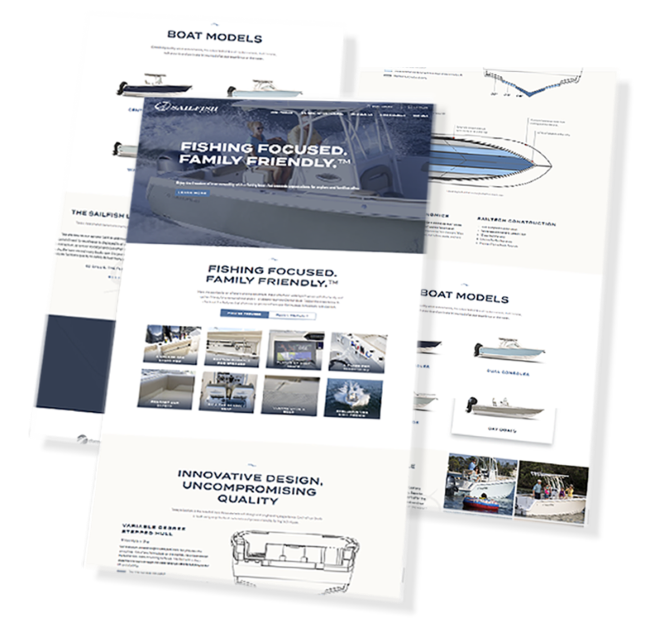 Sailfish Boats wanted their website to reflect the quality and craftsmanship of their line of boats. Our mission was to bring the website to life across all devices sizes and to properly tell the story of the Sailfish Difference. SEOteric worked with the Sailfish team to create a custom designed website where each element was thoughtfully and intentionally developed, taking the same care and attention that they put into each Sailfish model. Every page was crafted with its specific intent, from the home page to the boat model pages. Images were hand-picked for each section. A video background was chosen for the home page main area to immediately immerse the visitor into what a Sailfish Boat is. Features were highlighted meticulously for each boat, as most Sailfish owners purchase based on features and amenities. The next phase of the project was to be able to convert visitors into leads to drive sales. The previous website didn’t have a way to convert the boat builder feature into a lead opportunity. SEOteric rebuilt the boat builder module from the ground up, allowing the features selected to be captured and converted into a lead. Outside of the visual improvements, this update had the biggest impact on the brand. Newsletter signups were also leveraged as a way to keep interested people in the pipeline for potential future purchases. The final stage of the project included SEO to help attract more visitors from search engines and create sales opportunities. 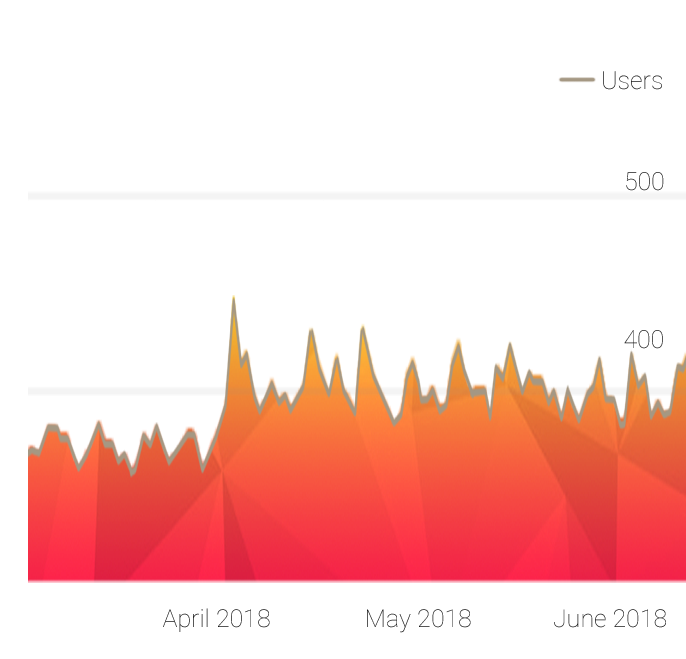 Each page was optimized throughout the site, and after launch, traffic increased over 30% almost immediately. Ongoing SEO efforts are focused on keyword and categorical non-branded search to help introduce the brand to people looking for this type of boat. Content and landing pages were developed to expand the content relevance of the site and improve ranking ability.  Monthly Website Visits After Launch. Total Organic Traffic vs Other Traffic Sources. Bounce Rate After Website Launch.